The Strathconian is the Regiment’s annual journal. Although two editions were produced in 1914, The Strathconian was not published again until 1927. Throughout the years, the frequency of publication has often changed and the format varied from a journal to that of a newspaper. In May 1959, the annual journal format was resumed and has since continued. Special editions have been produced from time to time to mark activities such as deployments on United Nations peacekeeping operations. The Strathconian is published under the authority of the Commanding Officer and is funded by the Regimental Fund (Non-Public Fund), the Regimental Society and advertising revenue. 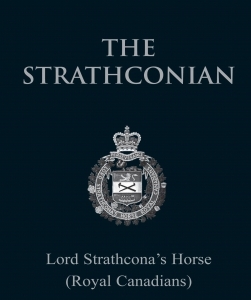 The Strathconian is distributed to all members of the Regiment, Strathconas serving away from the Regiment, registered members of the Regimental Association, special friends of the Regiment, and others on request.